Snag yourself a new friend! 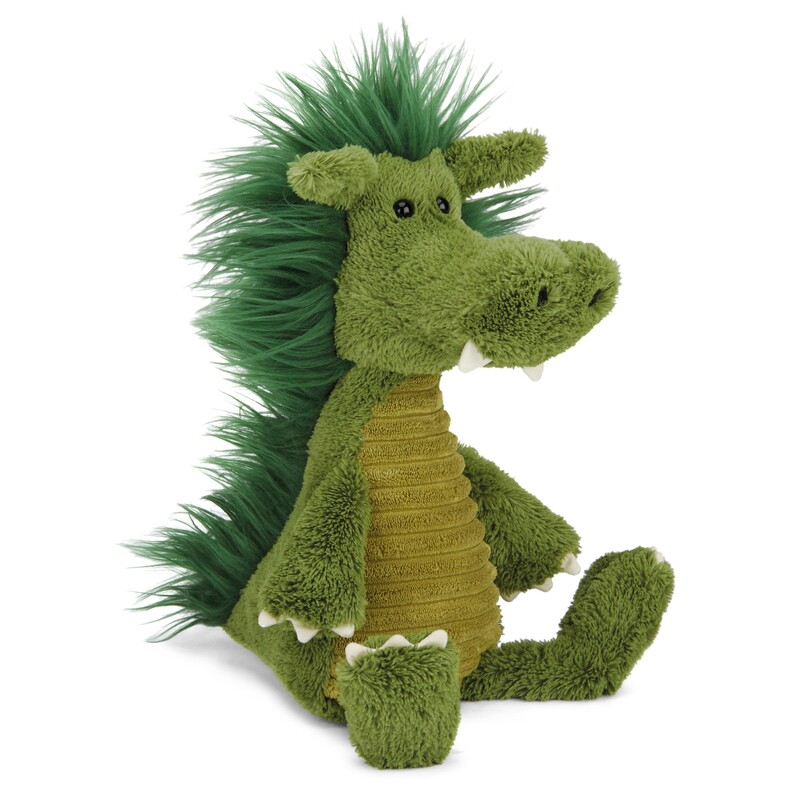 Snaggle Baggle Dudley Dragon is a brand new character in the Jellycat family! All mixed-up and fantastic for it. This dazzling dragon has a silky mane of dark green fluff and a bumpy, cozy, corduroy tummy. Not to mention he has an adorable over-bite as well! Though many dragons are scaly and scary, this little lad is as cuddly as a cloud! Even his claws are neat and soft, because he'd really rather make friends than flames. Take a flight with Dudley - he's sure to be caverns full of fun! !